1. Thanks for speaking to us David. Tell us a bit about yourself? Originally from North Yorkshire, I moved to Sunderland in 2006, at the age of 25, after meeting my girlfriend. She’s a little older than me, and had two children from a previous marriage – at the time I moved in, Olivia was just about to turn seven years old and Liam was ten. It was obviously a big shift for me. I was what you’d describe as a typical northern twentysomething, suddenly plunged into a world of instant responsibility. Although it was a steep learning curve, it was something I really enjoyed, helping with homework and going to junior football matches. Being a stepdad quickly taught me to balance priorities. I’m not going to say it was easy, I was used to afternoons in the pub and power naps, which quickly became a thing of the past, but it was definitely worth it. Their dad was great too, he was still very much involved with them and I found myself getting on really well with him, which really helped. Vanessa and I were married in 2012, six years after I’d moved up. The ‘children’ are now 19 and 23, so suddenly there’s a little more time to ourselves, although I’m still called on for a few lifts here and there! Away from family life, I’m an avid reader and I enjoy football. My team are Scarborough Athletic FC, the phoenix that rose from the ashes of the defunct Scarborough FC, although having lived in Sunderland for so long, it’s impossible to not get sucked in to the other SAFC! 2. Tell us a bit about your book? The Malaise is a post-apocalyptic novel about a society in the near future that is technologically dependent. The end of the world comes mysteriously and violently, as people are drawn to murder. It’s an alternative take on the usual ‘zombie’ tale, where the focus is more on the aftermath, as a community of survivors in the Lake District build a harmonious world without technology. However, after a series of mishaps and a mission to find other survivors, they embark on a perilous mission that sees them come face-to-face with the chilling force behind the apocalypse. This book is the first in a trilogy. Its sequel, ‘The Bereft’, is currently being edited. I’m looking forward to seeing where the story can go! 3. Do the kids inspire your writing in anyway? Yes. When you write fiction, you draw on anything and everything around you. People’s emotions, funny situations, how people react to various incidents, problems and issues. To be honest, the phrase stranger than fiction is a true one. I was speaking to a retired police officer the other day who told me he had a notebook full of bizarre incidents. He recounted a couple of stories that I couldn’t have made up in a million years. A more specific answer to this question is the character development of Zara, one of the main characters in The Malaise. At the time I wrote the novel, my stepdaughter was seventeen and, although the character isn’t her per se, there is a ‘coming of age’ element to the novel that she definitely inspired. I didn’t deliberately go out to add that layer to my writing, but you are very much influenced by what is going on around you, and as children are a big – if not the biggest – part of your life, then they definitely inspire your content. 4. What are your most memorable/funniest moments as a stepdad? As any family knows, there are lots of laughs. There are so many precious moments when you’re playing board games, watching a film, going on holiday or just sat having a meal. Off the top of my head, one of the funniest moments involved my stepdaughter Olivia, and was both sad and funny at the same time. When she was seven, she had a pet hamster, which she’d imaginatively named ‘Hammy.’ After a long period where Hammy hadn’t emerged from his bed, we had a look and unfortunately found he’d passed away. As Olivia cradled the furry corpse, her tears suddenly turned to laughter. She’d noticed a tiny turd protruding from Hammy’s rear end. As we buried the hamster in the back yard, giving it a full ceremony, her tears flowed again. “He’s in heaven now,” I said, trying to ease her grief. Olivia looked around for a few moments, her mouth pursed with concentration. 5. How do you find parenting teens/young adults? It’s a bit different. As they get older, the worries you have change. Groups of teenagers obviously go out and have drinks, getting into trouble and there’s also the emergence of boyfriends and girlfriends and all the concern that could potentially bring! But I think you just need trust. If they’ve been raised well, you have to trust they’ll know right from wrong and make the right decisions. And if anything goes pear-shaped for them, whether big or small, you’ll need to be around to help pick up the pieces. And the positive thing about teenagers and young adults is that your relationship changes. They develop independence and they begin enjoying the same things you do. Grown-up films, going out for meals, chats about work and life. They come closer to your day-to-day life. Now they’re older, we can meet them for lunch and catch up. It’s like having best friends in your life as well as family. 6. 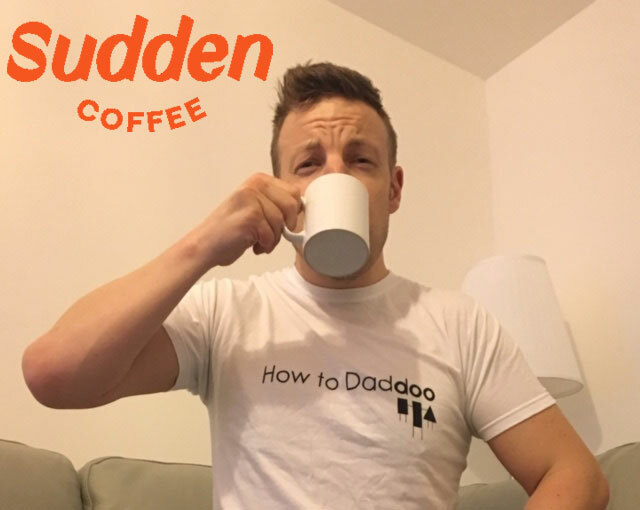 Whats your best bit of advice for other dads/stepdads? Enjoy it! Trust them to make their own mistakes and don’t come down too hard on them if they do – remember what you were like. Take time to be around for them. Listen to what they need. And, I suppose a lesson I learned, there may be right or wrong, but there’s no perfect way to approach it. All kids and all dads and stepdads are different, so don’t beat yourself up if you get something wrong. If you care, and you put the effort in when it’s needed, and you’re there to be a shoulder to cry on, then you’re doing a pretty decent job. The Malaise is available now in paperback and Kindle. Previous Previous post: Ayla is 4!